Risks are not static —they can change during the policy term. Present day underwriting systems and procedures do not capture these changes. That's where RiskPossible comes in. We developed an innovative Continuous Underwriting Engine (CUE) for insurers that allows you to — monitor risks constantly with up-to-the-minute data and actionable analytics. 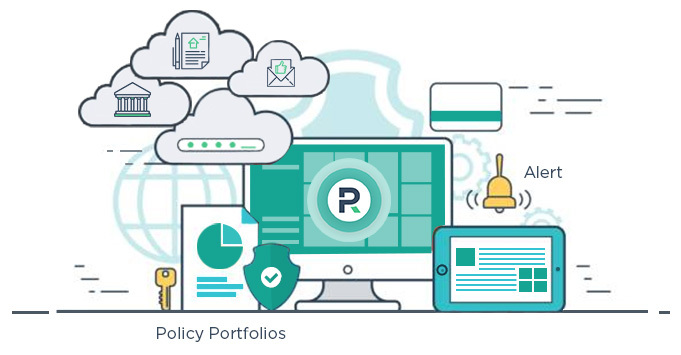 We pull information from various sources on the web, take your in-force policy portfolios, layer triggers on them and alert you when a trigger is fired — letting you take action the moment things change. Spot misclassified risks and leakage situations. Intelligently allocate resources for loss control. Decide on the best risks to retain. The setup is effortless. We can receive something as simple as a CSV file or as sophisticated as a highly integrated API connection. Once you're set up, it all comes together in an easy to use interface for the insurance company to configure, all you have to do is switch on the triggers you want to be notified on. If one of these triggers is fired we'll let you know. Flat Fee pricing based on monitored gross written premium. Our subscription plans are straight forward and easy to use, just like our service.